Most people associate the Sunshine Coast hinterland with the beautiful Blackall ranges, home to towns such as Montville and Maleny. However not far to the north is the less well known but just as beautiful Noosa Hinterland. Rolling green pasturelands, lakes, forests, quaint country towns, art galleries, cafes, farm gates, day spas, B&Bs, boutique breweries, walking and mountain bike trails ….. There really is something for everyone! Noosa hinterland encompasses the country towns of Eumundi, Cooroy, Pomona, Cooran, Kin Kin and Boreen Point, each with their own charm and distinctive vibe. The area takes in Lakes Macdonald, Cooroibah and Cootharaba, which is the gateway to the World Heritage listed Noosa Everglades in the Great Sandy National Park. Mountain vistas such as Mt. Tinbeerwah or Mt. Cooroora provide stunning coastal and hinterland views. You definitely would need at least a week to explore this area well, but here are some highlights you might like to experience. Mt Tinbeerwah is a short 10 min drive west of Noosa via Cooroy-Noosa Rd. The summit is easily accessible by a short walk from the car park and provides stunning 360° views which take in the coast and hinterland and gives a good perspective of the layout of the area. For the fitter and more adventurous, Mt Cooroora, near Pomona, provides a view that is well worth the effort of the hike, but it’s not for the faint hearted. This mountain is home to the infamous annual ‘King of the Mountain’ race, which is contested every July. After over 40 years in operation, Eumundi markets have grown to over 500 stalls and are one of the largest and most famous markets in Australia. Operating every Saturday and Wednesday, they have become a tourist destination in themselves. For a more laid-back, country market feel, Pomona and Cooroy also hold farmers’ markets on alternate Saturdays. The Cooroy Butter Factory Art Centre is an exhibition, workshop and events venue with a pottery studio. The Pomona Railway Station Gallery with its heritage setting, showcases local artists and artisans. Kin Kin is home to creative blacksmith Steve Weis, who has transformed his property into a wonderful gallery. Check websites for opening days and times. From water sports to just enjoying the serenity from the shore, Noosa hinterland has several lakes on offer. Lake Macdonald near Cooroy is home to the Noosa Botanical Gardens, complete with BBQs, covered picnic tables and even a lakeside amphitheatre. Lake Coortharaba is the spot for camping, fishing, kayaking and sailing. It is also the gateway to the gateway to the pristine Noosa Everglades in the Great Sandy National Park, a natural wilderness which you can explore by a self-guided kayak tour or in the comfort of a river cruise. What drive into the country would be complete without experiencing the hospitality at a local historic pub? Licenced since 1868, the Apollonian Hotel at Boreen Point with its wide cool verandas and open fireplaces epitomises colonial charm. The Imperial Hotel in Eumundi is a popular venue for attracting well-known live music gigs and has recently reopened its own onsite craft brewery. The Noosa Trail Network is a series of eight sign posted scenic hinterland trails which are accessible for walking, mountain biking and horse-riding. They vary in length and difficulty from short and easy to a 5-day trek. Passing through lush farmland, state forests, national parks, creek crossings, valleys and mountain lookouts, the trails provide a back to nature immersion in the heart of the beautiful Noosa countryside. Trail maps are available online from visitnoosa.com.au or the Information Centres. Hinterland Feijoas, an organic fruit orchard in Belli Park west of Eumundi, is the brainchild and passion of farmers Peter and Sally Hookey. 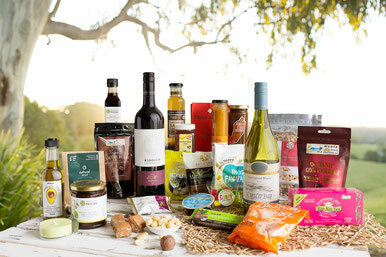 Their farm shop stocks a wide range of gourmet feijoa products, as well as handcrafted gifts made by local artisans. A retro caravan, named Myrtle, serves organic teas, coffee, and delicious cakes and light meals. There are farm animals for the children to enjoy, including mini ponies. Open Saturdays and Sundays from 9 – 3. Cooloola Berries can be found in Wolvi, a 35 min drive north west of Noosa. They grow strawberries in Winter and blueberries in Summer. Their farm gate offers the experience of picking your own sweet, ripe, delicious fruit. The café offers coffee, handcrafted ice-cream, light lunches and desserts. Visit on Sundays for Paella in the Paddock with live music from 1 – 4pm. This local, historical treasure is the world longest running silent movie theatre. Film connoisseurs can take in classics such as Laurel and Hardy, Groucho Marx and Buster Keaton, complete with a resident piano player. The heritage listed Majestic Theatre is a not for profit, small community run theatre and cinema that has been in operation for 96 years. This is a unique, authentic experience you won’t find offered in many places. Check website for screening times. Local or tourist, there is always something new to discover in this beautiful region. So if you’re looking for something to do, or planning your next day trip, head to Noosa Hinterland.